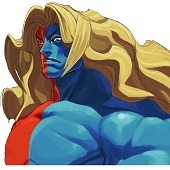 I don’t see many Hugo players around, seeing that players usually go for faster characters or choose them just for their looks, which Hugo terribly fails at both. Hugo is not the most dynamic of characters but, his size can be intimidating to some. A former Mad Gear gangster and one of the most gigantic pro-wrestlers in videogame history. Actually his design is inspired in pro-wrestling legend André The Giant. 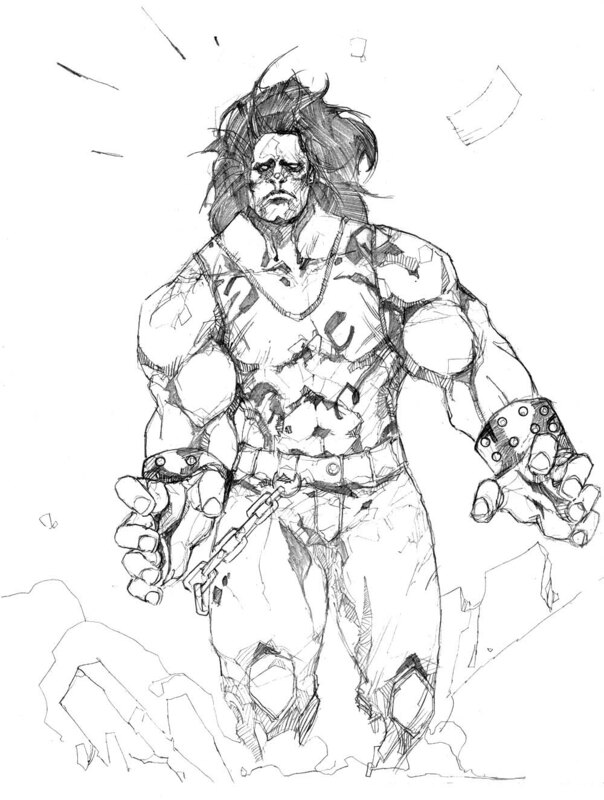 Every Final Fight player recalls Hugo Andore as one of the most dangerous and annoying recurrent enemies of the game. 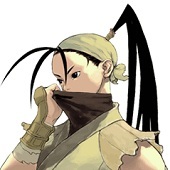 When he came back as part of the SF III roster, I felt like submerged in a flood of nostalgia. The sad gaze and monstruous proportions, the grabs, the rampage when running…All was there! Officially the biggest street fighter ever, this big brute grappler definitely adds a lot of fun to the series. As you can see, I’m a huge Final Fight fan, so I didn’t find a better way to represent this fanatism than drawing Hugo. The alley was another touch I though it would be cool, it represents Metro City’s underworld. 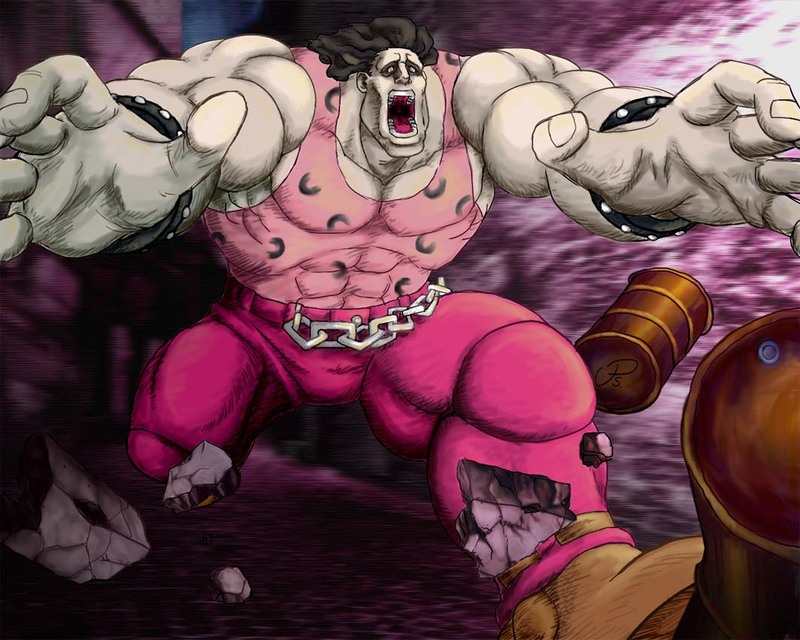 The barrels are another iconic reference to Final Fight, and flying away along side pieces of concrete helps the picture, adding more to the clumsiness and roughness of Hugo’s running.